My favorite was Secret Freedom. Chaotix Quest and Treasure Team Tango are close, though. I'm kinda surprised that Scrambled did so badly. I though everybody loves Eggman. I don't like Eggman (or Snively for that matter), but I voted Scrambled because I thought it was the best arch from a technical standpoint. Other than the Shadow Saga I thought it was the only SU Arch where none of the issues felt like filler and/or stalling for time. The story kept progressing at a steady pace and actually acomplished what it set out to do. And many other things. It was also a pretty strong issue art-wise, but that was because Tracey wasn't on pencils. Jamal Peppers can draw some humans and draw some humans he did! Hope actually looked like a little girl, Snively didn't look like a gremlin, and the other humans didn't look like cartitures. Even Eggman looked better and lost the muppet-mouth that many artists draw him with. I would say the only weakness was Eggman's dialogue which, at times, may have been a bit too heavy on the cheese even if it hit every fandom sweet-spot. Thinking back, I remember that a lot of people were disapointed by the outcome. Quite a few actually did want Snively to finally break free from Eggman and do his own thing. 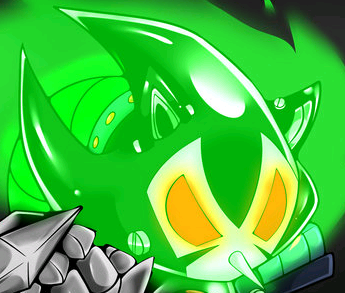 But Eggman came out victorious and Snively was delivered what seemed to be the ultimate defeat for him. Snively didn't just fall back in line. He was shelved after having come so far as a character. It also didn't end well for newly-minted Ken Khan fans. Ken was defeated (again) and lost his village (again) and seemingly the love of his life. He was helpless to do anything but be a victim here. Know who it did work out well for? Regina, who I am a fan of. 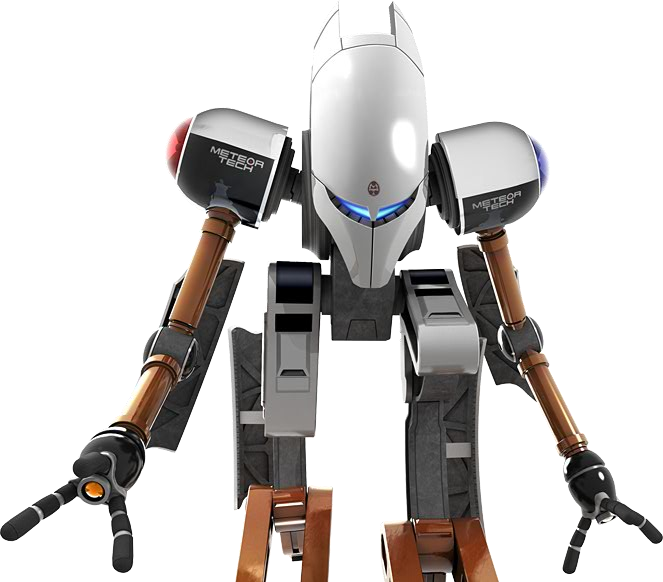 Goodness if she didn't dodge all kinds of bullets between being freed from her well-prison and being one of the few that didn't get the bundt of Eggman's wraith. Yeah-sure she lost Snively but she got a promotion, army, and new technology! That is some Karma Houdini-level stuff, there, after helping dispose of Eggman before. Scrambled also unceremoniously introduced Orbot and Cubot as Snively's replacements. The fandom seems to be mixed about them. I'm indifferent towards them personally. Kellox wrote: It was a joke, Cream was just correcting Amy. Besides if I am not mistaken that was a reference to Sonic Rush where Amy got angry at Cream , because Cream said that Amy's love for Sonic was perhaps shortsighted and when Amy showed her hammer Cream yelled out: Not again! implying that Cream and Amy rose have these discussions often when Cream corrects Amy or says something about Amy's crush on Sonic that she doesnt like. I understand it's a joke but I still feel it potentially damages Amy and Cream's friendship, or more accurately people's perception of the friendship and its genuineness. A joke is fine but not when it comes at the serious expense of something. And if that panel was a reference to THAT scene from Rush... Then that makes the panel even worse IMO. I mean of all scenes from that game to reference, why choose the one that many people use as evidence against Amy and Cream's friendship and fuels the argument that Amy is "abusive"? Kellox wrote: And too be fair, many best friends do fight at times. That is true, but again the problem I have is that many people right now have a hard time believing Amy and Cream's friendship to be genuine thanks to Battle, Rush, and Free Riders giving them reasons to doubt (the overall lack of plentiful, friendly interaction between Amy and Cream not helping one bit). I'd be more welcoming of that panel if Amy and Cream were actually seen as the unofficial sisters that they're supposed to be but right now plenty of people would rather Cream be Blaze's unofficial sister and Sticks fully replace Cream as Amy's BFF and stuff like that panel give them evidence for that viewpoint. MetalSkulkBane wrote: I'm kinda surprised that Scrambled did so badly. I though everybody loves Eggman. Me too! I thought everyone, or at least a majority of people, loved Scrambled given all the praise it got when it first came out. Though I always personally found Scrambled mediocre. 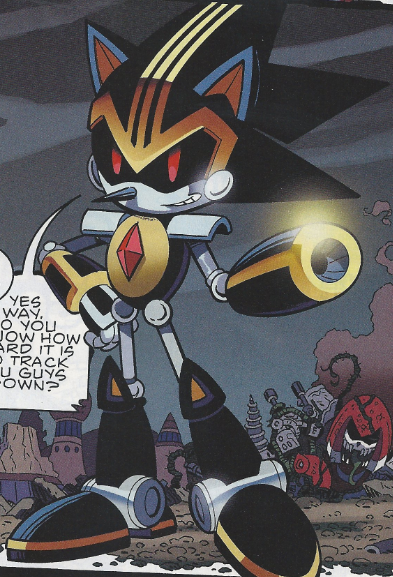 It's got some good humor (the mustache ship, for instance) and it's fun seeing Eggman be awesome but that's all it had going for it I feel, outside of being Orbot and Cubot's introduction into the comics for those who are fans of them. Okay and the question to all 3 of you who still follow this thread: what was the worst story Pre-SU? (Not counting All Star Racing of course, that was just lame). Like I said, Rouges aren't exactly most interesting characters. Half way through Sonic pretty much takes the story for himself, but then I question most of victories. Nagus taken down by one punch, Sonic just held by a stupid bubble, Tails just kinda held by Speed and finally winning by simply smashing a box, with no difficulty what so ever. Lock Down just didn't impress me with it's story, safe for Destrctix's back stories. After first part there wasn't a single point I wondered "how will Scourge overcome this problem". Sure I liked our "protagonists", but other characters weren't very interesting. (Zobotnik, Al/Cal, Maxx, Jeoffrey, etc). I guess I can also point out SU 2. It wasn't bad per se, just not very interesting. It's cliff notes of SA2, with minor tweaks. Well don't blame Archie for canonly following what the video game portrays, Honestly Archie gets a lot of beef for putting the characters out of character even in terms if they do it for a good reason, (example having Amy allowing Sally and Sonic to go on a date still bothers some people because they rather see her chase Sally with her piko hammer. ) but your blame should be towards the video games on this one. like you said Sonic Team and Sega so far haven't really provided enough proof of their BFF -relationship in the first place other then putting it on paper and saying they are BFF's that panel alone isn't just proof I think the heavy video game scenes in Riders, maybe thats just how their friendship is supposed to be, Battle and Rush has already done that damage. Its you who see it as a sign that Amy Rose is abusive but for the video game writers it's merrely used as a running gag. I know in the West we tend to over analyze every scene and characters but in Japan it's just seen as a joke so do not take those scenes too serious or be bothered too much what other people think. Kellox wrote: Well don't blame Archie for canonly following what the video game portrays, Honestly Archie gets a lot of beef for putting the characters out of character even in terms if they do it for a good reason, (example having Amy allowing Sally and Sonic to go on a date still bothers some people because they rather see her chase Sally with her piko hammer. ) but your blame should be towards the video games on this one. I thought I was putting blame on the games? I stressed that the games messed up Amy and Cream's relationship but I think the comics handle it much better, which is why I take issue with that panel; it's perceptively an example of Amy and Cream not being as friendly as they should be (especially in comparison to Sonic and Tails, who bromance every second they're together overreaction, I know but it's undeniable that those two get along together extremely well regardless) and is derived from the poorly written moments in the games, moments that I feel the comics should not re-enact. Like, as a rule the comics should be in-character as possible with the game cast but I think it's acceptable to "tweak" some of their characterization if it results in better handling. In the games (or more accurately, Sonic Battle), Cream was portrayed as a strict pacifist who wouldn't take part in a fight even if it means self-preservation and escaping from a dangerous location and this element of her character restricts her ability to take part in stories and be a major cast member like she was made out to be in in Advance 2&3, Heroes, Battle, Rush, and Sonic X. So the comics should remove Cream's pacifism so she doesn't look like a helpless idiot and so she can take part in more stories, be the major cast member she was meant to be, which so far the comics have done by officially making Cream a Freedom Fighter and having her want to take part in the action (though they seriously ruin that by having other characters sideline Cream for various reasons I find stupid :roll: ). In the games, Amy and Cream's relationship comes off as strained mainly due to Amy's 'violent' tendencies and temper issues, both of which makes her appear 'abusive' (which, by the way, isn't how I view Amy one bit but it's how most other people view her and that's why I take issue with such portrayals. The less ammo for Amy haters the better). So to improve Amy's character and her relationship with Cream, the comics should subdue Amy's violent tendencies and temper issues and have Amy be much calmer with Cream, have Cream be the one person Amy never gets angry or annoyed with. The comics do a great job with that so far but that panel is a notable blemish that is hard to ignore. MetalSkulkBane wrote: Okay and the question to all 3 of you who still follow this thread: what was the worst story Pre-SU? (Not counting All Star Racing of course, that was just lame). Mobius 30 Years Later. Easily. I would love to elaborate but plenty of people, both in this forum and out, have said pretty much everything I could've said but in much better ways. The only thing I will say about Mobius 30 Years Later is that it, alongside it's predecessor, lent a lot of evidence to the perception that the Archie Comics were "official fanfiction" and because of that, as well as other things, this Arc nearly drove me away from the comics when I first discovered their existence. Well, I cant say that Mobius 30 Years Later was all that good, but once you know context, I say that Flynn did OK job considering what he had to work with. And kids were adorable, especially Skye. About Amy: Any game that makes her relation with Cream seem abusive can also be used as proof that her relation with Sonic is abusive. Or generally, that Amy is a jerk. Writers loved making Amy mean in more comedic games, until recently at least. She was much nicer at first in Adventures and we got to see that side again in 06 and Unleashed (coincidentally all these games have "Amy hugs not-Sonic" running gag) but majority of games...arent exactly pro-"Amy is sweet girl and would make great girlfriend and buddy" (Especially Free Riders). This is the same type of inconsistent tone that allows Eggman to make Grand Prix in Riders despite trying to blow up Station Square in SA. Chaotix Quest got my vote, but if I had to pick a close second, it'd be a toss-up between Secret Freedom and Tails' Adventure. I would have to agree that the second half of CQ is stronger overall, but I enjoyed the Mercia story for what it was. The arc also features a really nice blend of action, comedic moments, and a good amount of drama, and most of the characters have some great moments (Charmy no so much, which I found kind of strange). Charmy was in an awkward transition where he was starting to read like his game self after years of being treated as the tragic amnesiac. He wasn't really in a good place to have his own character moments. I know it counts more for the second half, but I still chose CQ. Loved seeing Mighty and Ray get the development and resolution they deserved and I just find Vector, Charmy and Espio to have the most brilliant chemistry between them. It feels kind of weird though when one half focuses on the main trio, but then the next half's narrative devotes itself to Mighty and Ray (Mighty in particular). It feels like two different stories have been meshed together into one. It's a little clunky, but I can forgive it for that since it ticked too many of my boxes to make it a big complaint. Mind you, I really would've loved to see the original idea of the story only focusing on Mighty and Ray's adventure, while being helped by Liza. Would've solved the story structure problem and we could've seen their quest for Matilda in greater detail. Only reason why it didn't happen is probably thanks to it not starring any current Sega characters.